until Version 2.1 open source, is a groundbreaking UCI compatible chess engine developed by primary author Fabien Letouzey. It made its first appearance to the public in March 2004, when Fruit was a basic program with a very simple evaluation and basic search. However, since then it made progress adding about 100 Elo to each new release (1.5, 2.0, 2.1 and Fruit 2.2) . The release of Fruit until version 2.1 under the GNU General Public License was a "revolution" in computer chess in 2005 - an open source engine was "suddenly" competitive with the long time leading programs Shredder and Junior, as demonstrated at the WCCC 2005, where Fruit became runner up behind Zappa. After the strong Massy 2005 over the board debut, and the great success of Reykjavik, where Fabien Letouzey met his professional colleagues, he decided to close the source  and to go commercial  - while Fruit derivatives have already appeared based on the source code of Fruit 2.1, most notably Toga by Thomas Gaksch, and Gambit Fruit by Ryan Benitez, who in late 2005 joint forces with Fabian for the commercial endeavor. Fabien finished his commercial computer chess career so far in 2007 . Fruit 2.3+ is non GPL with full rights given to Ryan Benitez who continued the Fruit development porting it to bitboards , while Fruit 2.1 is now owned by the Free Software Foundation , released as GNU Chess 6 . Fruit had its strong debut at CCT7, February 2005, and over the board at Massy 2005 in June 2005, with the then surprising shared second place, tied with Chess Wizard behind AnMon. 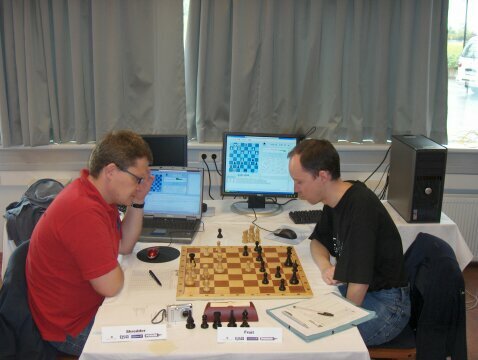 After the mentioned breakthrough at the WCCC 2005 in Reykjavík, Fruit played the DOCCC 2005, operated by new book author Jeroen Noomen, who short later left the team for Rybka, the IPCCC 2005 b, CCT8 and the DOCCC 2006. Fruit continued to play CCT Tournaments from CCT10 in 2008. Fruit was and still is one of the most influential didactic open source programs. It uses a 16x12 Vector attack board representation, since Version 1.5 a 16x16 board to have a symmetric treatment of files and ranks  . Its structure and C source code was very clean and apparently bug-free due to runtime checking a lot of preconditions using debug asserts. While late move reductions (LMR) might be used in other programs before, Fabien's history based implementation in conjunction with history leaf pruning made LMR very popular. 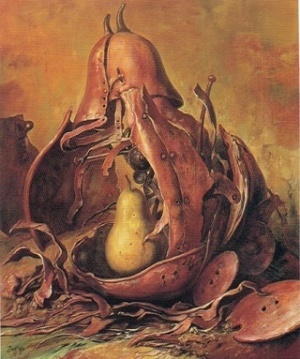 Another Fruit innovation, despite not absolutely new and already a known issue, and related to what is mentioned in evaluation philosophy, was tapered evaluation to avoid discontinuity  . Beside Fabien Letouzey as primary author and opening book author Marc Lacrosse, Ryan Benitez joined the Fruit-Team in December 2005. Before he developed Gambit Fruit with some interesting changes on the basis of the last open-source-version 2.1. Joachim Rang was the main tester of Fruit since its first public appearance, tuned parameters, and tested evaluation and search features  . Ryan Benitez continued the development on the non public Fruit in 2007 . He converted the board representation from vector attacks to bitboards, and naturally, Fruit has become a new evaluation to go along with that . Fruit by Fabien Letouzey and Ryan Benitez played the CCT10, the CCT11, where it became shared winner along with Bright after the later Rybka disqualification , and the CCT13 in 2011. The increase in playing strength of the latest chess engines is unbelieveable. We have since some time with Fruit 2.1 by Fabien Letouzey a very strong open source engine. Do you see a relation between the published sources of such a strong engine and the increase of strength in computer chess in general? How much influence do the ideas of Fruit have on the future of computerchess? Yes, the publication of Fruit 2.1 was huge. Look at how many engines took a massive jump in its wake: Rybka, HIARCS, Fritz, Zappa, Spike, List, and so on. I went through the Fruit 2.1 source code forwards and backwards and took many things. In March 2014, ten years after the initial Fruit 1.0 release, Daniel Mehrmann initiated a "let's update Fruit" called Fruit Reloaded . With some help from Ryan Benitez, the aim is to add SMP to Fruit and upgrade search and evaluation with modern techniques  . Simultaneously, Fabien Letouzey waved goodbye to Fruit and published his new open source engine Senpai, also with Ryan Benitez and Joachim Rang involved . This page was last edited on 13 March 2019, at 22:13.